Join us for a unique, comprehensive, seven-night journey to Scotland’s rarely visited Orkney and Shetland Islands and Norway’s majestic fjords, remote destinations forever linked by their Viking heritage. Cruise from Glasgow, Scotland, to Bergen, Norway, aboard the exclusively chartered, newest Five-Star, small ship Le Champlain with a private balcony in all Suites and Staterooms and the world’s first multisensory, underwater observatory lounge. Travel in the wake of Viking explorers, cruising into ports accessible only by small ship amid spectacular landscapes in this seafaring region steeped in history and cultural richness. 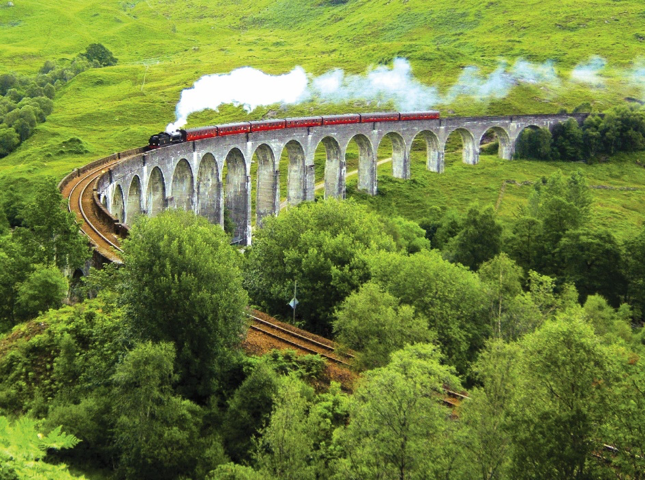 Enjoy a full-day scenic excursion into the Scottish Highlands, with visits to Fort William, Glenfinnan and Glencoe, and a specially arranged ride on Norway’s Flåm Railway, one of the world’s most scenic rail journeys. Visit Kirkwall in the Orkney Islands; prehistoric Jarlshof in the Shetland Islands; the UNESCO World Heritage sites of Orkney’s Neolithic Ring of Brodgar and Skara Brae, including a special presentation by the Ness of Brodgar archaeological site director and head archaeologist; and Bergen’s picturesque Bryggen. Edinburgh/Glasgow Pre-Cruise and Norway/Copenhagen Post-Cruise Options. Uniquely designed, seven-night itinerary available only through Gohagan & Company. Specially arranged ride on Norway’s Flåm Railway-—one of the world’s most scenic rail journeys. Explore Scotland’s rarely visited Inner Hebridean Isle of Skye and the Orkney and Shetland Islands. See the Orkney Islands’ Neolithic monuments—the Ring of Brodgar and Skara Brae, both UNESCO World Heritage sites—and the Shetland Islands’ 5000-year-old prehistoric site of Jarlshof. 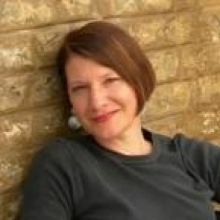 Specially arranged lecture by Ness of Brodgar’s director and head of archaeologist. 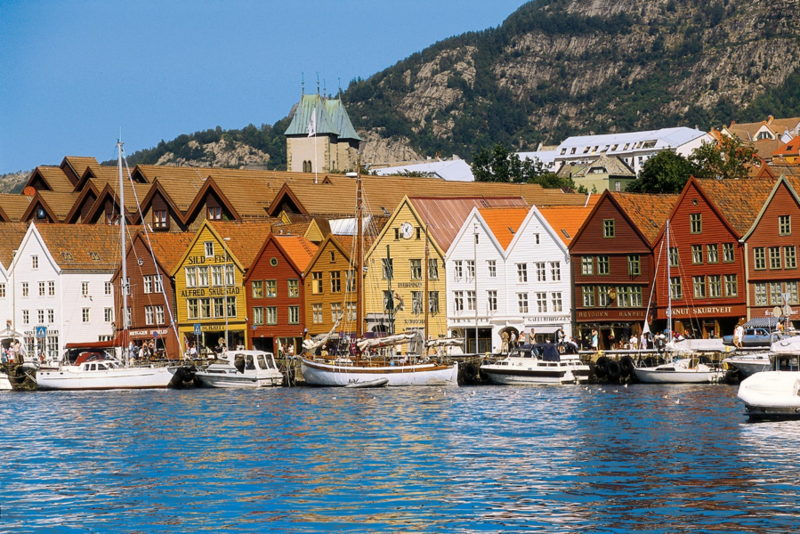 Ample time in picturesque Bergen and tour Bryggen, its UNESCO World Heritage-designated Old Wharf. Edinburgh/Glasgow Pre-Cruise Option and Wonders of Norway/Copenhagen Post‑Cruise Option. Explore two of Scotland’s great cities and their histories of fascinating clans, medieval knights and royal and religious intrigue. In Edinburgh, discover the UNESCO World Heritage-designated Old Town and New Town and explore the renowned Museum of Scotland. During your tour of Glasgow, visit the 12th‑century cathedral, the only surviving medieval church in mainland Scotland, and the captivating St. Mungo Museum. Accommodations for two nights are in the ideally located, Five-Star Waldorf Astoria Edinburgh - The Caledonian. Immerse yourself in majestic Norwegian landscapes and traditional Scandinavian culture on this unique and exclusive five‑night journey. Experience the majesty of the Norwegian highlands and ride through the stunning scenery of Europe’s highest mountain plateau on the Bergen Railway. In vibrant Oslo, visit the stately City Hall, where the Nobel Peace Prize ceremony is held, and the unique Vigeland Sculpture Park. Enjoy an exclusively chartered cruise along idyllic canals of Copenhagen and see Christiansborg and Amalienborg Palaces and the “Little Mermaid” statue. In the nearby town of Roskilde, visit its 12th‑century, Gothic‑style cathedral, a UNESCO World Heritage site, and explore the fascinating Viking Ship Museum. Accommodations are for four nights in comfortable hotels and one night aboard an award‑winning Seaways ferry from Oslo to Copenhagen. The Pre- and Post-Cruise Options are available at additional cost. Details will be provided with your reservation confirmation. The Le Champlain ushers in a new generation of Five-Star small ships, combining revolutionary design and a new standard of luxury for an unparalleled expedition cruising experience to be launched in 2018. Venture where no ships have gone before, remote destinations where authentic encounters with captivating cultures, spectacular wildlife and majestic scenery await you. Exclusive to the Ponant Explorer Fleet is the extraordinary Blue Eye, a multisensory underwater observation lounge that incorporates bionic and biomimetic decor and technology to immerse you in the beauty of the ocean’s ecosystem. Observe fascinating marine life, from melodic whales and graceful dolphins to majestic sea turtles and translucent jellyfish through the large subaquatic windows, enhanced by underwater illumination that runs the length of the ship. Digital screens and the specially designed global listening system relay the sights and sounds beneath the surface of the ocean. Inspired by the natural and nautical worlds, the warm and inviting public areas are marked by a refined elegance. Enjoy sweeping views from the lounges, which open to the outdoors, and lectures, cultural performances or film screenings in the state‑of‑the‑art theater. Relax in the spa and sauna rooms or the Sun Deck’s infinity-style swimming pool. Each ship has a beauty salon, fitness room and, for your convenience, two elevators. Complimentary Wi-Fi is available throughout the ship. The highly trained, English‑speaking crew are personable and attentive, and the ship has an infirmary staffed with a doctor and nurse. 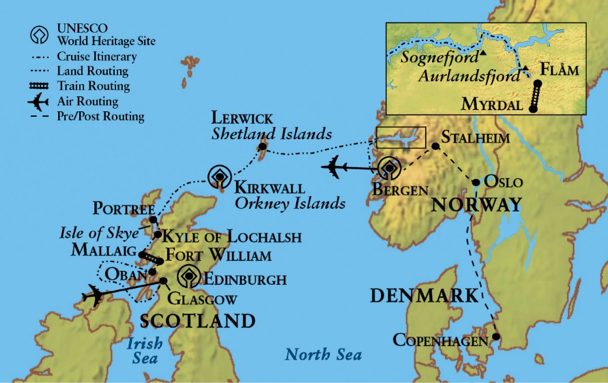 Seven-night voyage from Glasgow, Scotland, to Bergen, Norway, with port calls at Fort William for the Scottish Highlands; Kyle of Lochalsh; Portree, Isle of Skye; Kirkwall, Orkney Islands; and Lerwick, Shetland Islands, Scotland; and Flåm for the Flåm Railway, Norway; and featuring a cruise of Norway’s fjords. Full-day excursion into the Scottish Highlands, with visits to Fort William, Glenfinnan and Glencoe. Tour of iconic 13th-century Eilean Donan Castle, arguably the most widely recognized castles in the world. Scenic excursion into the beautifully to visit Dunvegan Castle and its spectacular gardens on the Isle of Skye. Exclusive, specially arranged lecture by the director and head archaeologist of the Ness of Brodgar archaeological site. Scenic excursion to the UNESCO World Heritage sites of the Orkney Islands’ Neolithic Ring of Brodgar and 5000-year-old Skara Brae. 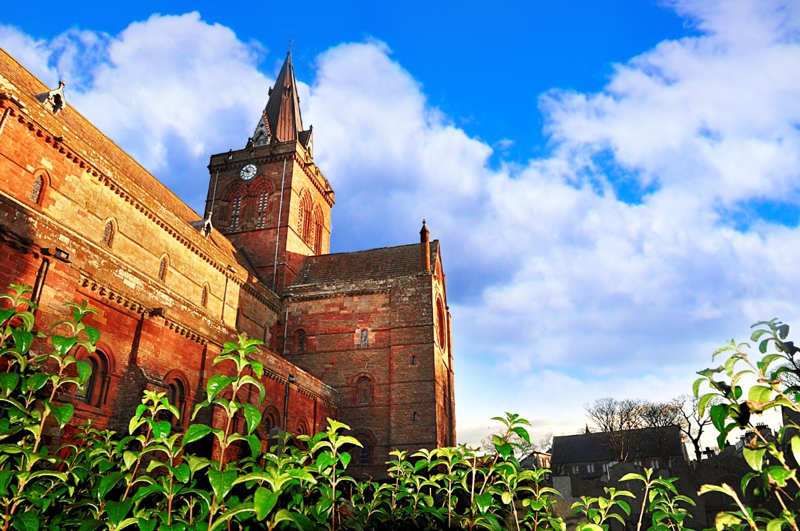 Excursion in medieval Kirkwall to see St. Magnus Cathedral in medieval Kirkwall. Traditional Scottish storytelling and the distinctive melodies of Scotland’s iconic bagpipe. 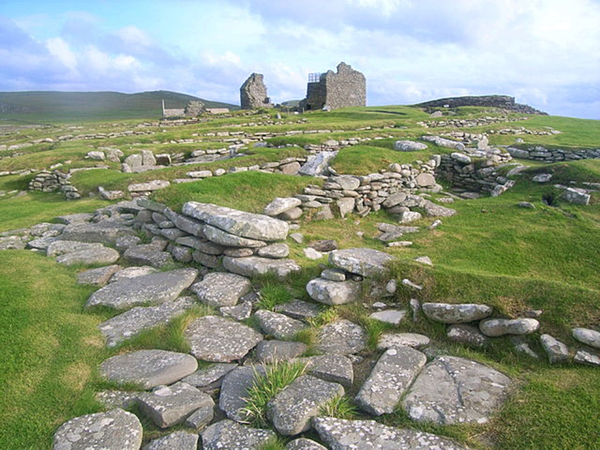 Excursion to the 5000-year-old prehistoric site of Jarlshof on Scotland’s remote Shetland Islands. Visit to Bryggen, Bergen’s historic waterfront, a UNESCO World Heritage site, and a specially arranged tour of Troldhaugen, the home of composer Edvard Grieg. Spectacular cruise through the picturesque Sognefjord, Norway’s longest fjord, and UNESCO World Heritage-designated Nærøyfjord (time and weather permitting). Round-trip train ride with stunning views on the Flåm Railway, one of the world’s most scenic train rides. Complimentary use of an audio headset guided excursions.